In this episode of Dubspot Radio Rewind, we revisit a very special all-vinyl mix recorded at Detroit’s Electronic Movement Festival by Mike Huckaby (Deep Transportation, S Y N T H) packed with exquisite jackin house and techno. Few artists carry the torch for Detroit like Mike Huckaby. Once the owner of the legendary Record Time store, Mike’s encyclopedic music knowledge shines through his varied DJ sets and deep productions. Also an avid educator, Mike regularly shares his musical production experience, teaching Ableton Live and Native Instruments software classes at Detroit’s Youthville center. We got a chance to interview Mike about Detroit, his new gear pickups, the Detroit Movement Festival, and what’s in store for the future. What equipment did you use to record this mix? Two turntables and the E&S DJR 400 mixer. What is the intended vibe for this mix? What did you have in mind when you were making your selections? Well, I just got carried away pulling records. It turns out to be a mix on the classic Detroit and Chicago tip. Tell us about your love for vinyl. Do you play digital forms of music as well? I use to work in a record shop. So do the math. A file means nothing to me. Does vinyl sound better? More fun to play? That’s too subjective and varies from person to person. I like vinyl. I just do what I do, and that’s playing records. On the subject of vinyl, we saw that you repressed a few of your classic S Y N T H and Deep Transportation releases. Are they currently available? Yes, I just repressed my entire catalog. They are available in most shops. An extensive description of my titles can be found here. How do you feel about the economics of Discogs recently? Was the repress partially in response to the price-gouging that goes on with record collectors? I’m really not feeling the whole Discogs scenario as it pertains to releases and the shops. Discogs tries to control everything about a release. I hate when I go into a vinyl shop, and the guy has to look up the record on Discogs first before he sells it to me. Why can’t you just sell me the record and determine the price of the record in real time? Why is Discogs the cash register? You shouldn’t put this overwhelming burden on the people that are coming into your shop. These are your physical customers and are a part of the main reason you have a shop. I hate that it works this way now. We heard through the grapevine that you’re a proud owner of an E&S DJR 400. Can you tell us a bit about that mixer? Yes, I bought the mixer in January 2014. I was informed that I was the very first person to order this mixer that year. I just needed a small mixer that sounded good, and this definitely does that. I miss the crossfader though, but most clubs have crossfaders on the mixers, so it’s no big deal really. What are you looking forward to about playing at Detroit’s Movement Festival? When and where will you be performing? I’m playing on Sunday, May 25th. I’m looking forward to meeting all of the people around the world who say that they will be in Detroit this year for the festival. It’s kind of exciting to see special people in Detroit from abroad while you are playing. How have you seen Movement evolve over the years? How important is the festival to the electronic music scene in Detroit? The festival is extremely important to Detroit, and to the world, as a matter of fact. The festival is logistically tight, and the sound is always incredible. Paxahau does a great job every year. You could have moved to Berlin or countless other places at this point due to the popularity of your music, what keeps you in Michigan? Europe doesn’t feel like home. It’s fun to be there, but I wouldn’t want to move there. In Berlin, there are too many things to do, and that’s a major distraction, believe it or not. It’s the complete opposite of Detroit. In Detroit, there is nothing to do but work on music. That’s the beauty of Detroit. You’ve been a mentor to many producers and DJs. Do you enjoy helping new producers find their way to a sound? Is that what I do? I have been stuck trying to get my sound right over the past several years and even decades. So I have a lot to say, and it is valuable information. Everything after ‘My Life With The Wave’ is exactly what I want to hear in my records. It took some time to get to this level, but now I have the formula. Tell us about the Detroit library sessions you have been doing with local kids. It just finished recently, and it provided another valuable opportunity to dig deeper into the Detroit community and to see what resources were there and how I could help a few more young producers with their music. Hats off to the Detroit Public Library for hosting this. The press seems to gravitate towards presenting negative things happening in Detroit. There are so many positive things happening in Detroit right now that you never hear about, and this is just one of them. As far as production goes, tell us about your “holy trinity” of Maschine, Ableton, and Reaktor. What is it about this workflow that works so well for you? Oh man, take one of my workshops, and then you’ll see. That’s all you really need inside the box, but outside the box is a whole other story. But yes, Reaktor, Ableton, and Maschine are the holy trinity of my workflow inside the box. You can’t beat this set up for remixing. Attend one of my workshops, and you will see. What did you have coming up in 2014? Any new releases on the horizon? I’m working hard as hell right now on ‘My Life With the Wave Vol 2,’ a sample CD, and another percussive sample CD by my brother, Craig Huckaby, entitled ‘My Life With the Drums.’ The Motor City Drum Ensemble remix project will be out May 7th, 2014, and later this month I will have a track on Kai Alce’s Deep Detroit project, which will be released during the party in Detroit on May 24th, 2014. Tastemaker, Educator, Sound Designer, and Motor City Proponent. Mike Huckaby has done much for Detroit electronic music. The man behind the once legendary Record Time store has gathered an encyclopedic knowledge of music. With highly acclaimed deep house productions and remixes for Deepchord, Juan Atkins, Vladislav Delay, Pole, Loco Dice, LoSoul, and Pacou, (just to name a few ) Mike sees no end in the near future. 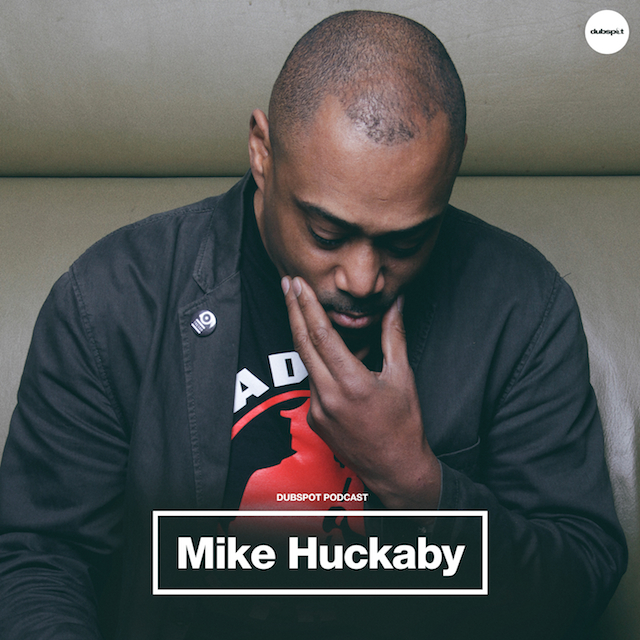 Furthermore, Mike Huckaby has been touring, djing, and teaching music production with Native Instruments and Ableton software at Youthville, and around the globe extensively. When the discussion of the Detroit / Berlin connection comes to mind, Tresor or Hardwax is usually discussed. But the Detroit / Berlin connection of the millennium and beyond is taking place at Youthville with the assistance of Ableton and Native Instruments, and the work Mike is doing there.